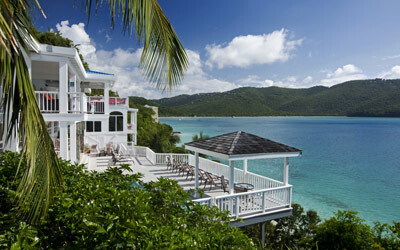 Private Caribbean villa rentals offer many advantages over hotel accommodations. You are in a luxurious private residence, so you get space and privacy that no hotel can offer. 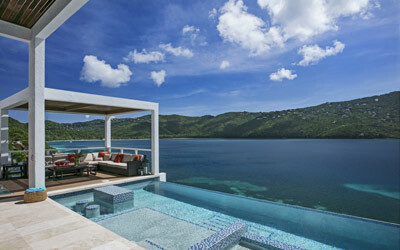 Sand Dollar Estate, the ultimate luxury vacation villa rental in St. Thomas, has 6 bedrooms plus a separate three bedroom, 2,300 sq. ft. romantic guest cottage. In total, the estate can accommodate 24 people, making it the perfect Caribbean location for vacationing with friends or family. It's all set on an exceptional 2.5 acre estate with its own private white sand beaches on Magen's Bay. 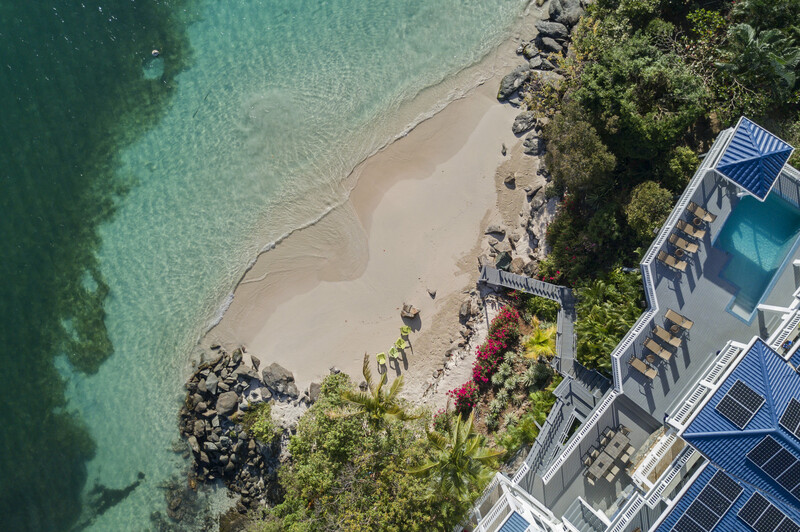 Amid tropical trees and luxuriant blossoms, this U.S. Virgin Islands estate offers luxury and seclusion only steps away from the crystal blue waters of the sea. Contact us to arrange the ultimate dream Caribbean vacation.